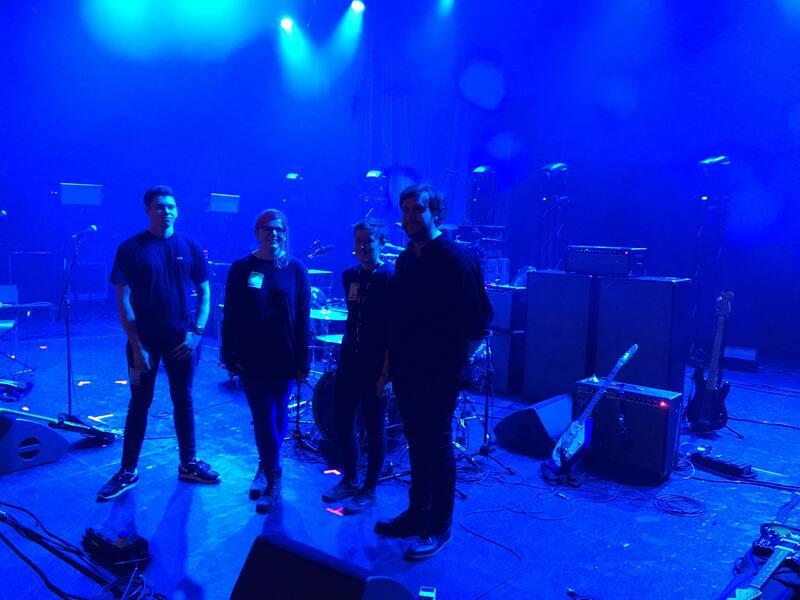 Music and Sound students recently undertook work experience activities supporting the production crew for OMD with The Royal Liverpool Philharmonic at Liverpool Philharmonic Hall, and Johnny Marr (Ex-Smiths) at Manchester Apollo. The OMD CD artwork credits Manchester Metropolitan University students. The course is currently based at Manchester Metropolitan University Cheshire, but will join Arts and Humanities in Manchester in September 2019. In Music and Sound for Media, students study composition, sound design and production in order to produce innovative audio for film, television, game and interactive media.